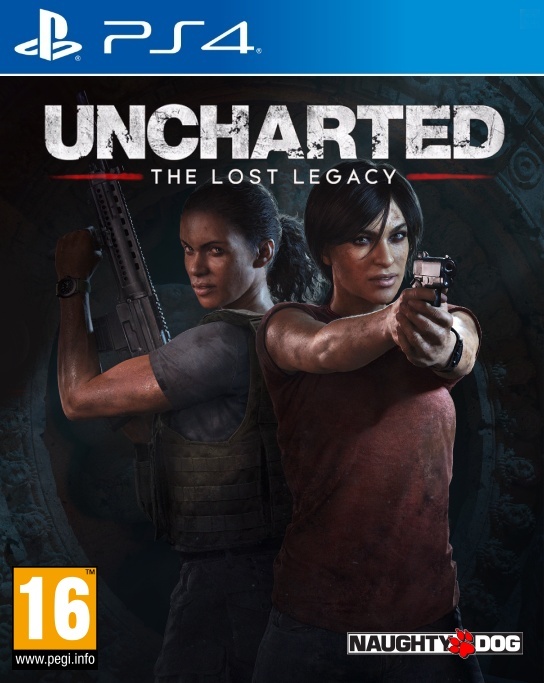 In India, treasure hunter Chloe Frazer has enlisted the services of mercenary Nadine Ross to help her find the legendary tusk of Ganesh, son of Hindu God of destruction Shiva, who lost the trunk while defending his father’s temple, a search that previously consumed Chloe’s own father before eventually claiming his life. Aided by a young merchant named Mheenu, whose father is in the Indian army, Chloe moves past an insurgent group and meets up with Nadine, who helps her sneak into the office of the insurgents’ leader, Asav, who’s also after the tusk, ostensibly planning to use it to rally the people into revolution. The two steal a map made by an unknown expert pointing toward the tusk within the ancient Hoysala empire and a disc that acts as a key before escaping Asav’s forces. The map leads them to India’s Western Ghats, where they follow the trail of several towers emblazoned with Hindu weapons- Ganesh’s trident, Shiva’s bow, and the axe of Parashurama, who used the axe to remove the tusk. The trail eventually leads them to the smaller of Hoysala’s two capitals, Halebidu, whose last emperor left unguarded to be conquered by the Persians seemingly out of vanity. However, they soon learn it’s actually because the emperor left a false trail; the tusk is really at the larger capital, Belur. On the way there, they are attacked by Asav and his men and after a fight, they barely escape, but lose the disc. Though Chloe is injured, they carry on, hoping to regain the disc. However, while spying on Asav’s forces, Nadine sees her old enemy Sam Drake, Nathan Drake’s, (Chloe’s old friend and former partner) brother, and realizes he’s Asav’s expert. When she expresses her intention to kill Sam, Chloe reveals she was working with him before he was kidnapped, necessitating her hiring of Nadine. As Chloe previously said she didn’t know Sam that well, this deception angers Nadine, but they eventually make amends. The two make it to Belur and manage to navigate several puzzles before being captured by Asav. He brings them to a central chamber where Sam is and forces Chloe to use the disc to reveal the tusk, which is covered in jewels. In the process, she discovers that Ganesh let Parashurama cut off his tusk, as Shiva gifted the axe to him and Ganesh didn’t want to shame his father by proving the axe useless. With the tusk in hand, Asav triggers a trap and leaves the three to drown, though some quick lockpicking from Chloe helps them to escape. Despite tensions between Nadine and Sam, the three chase after Asav to take back the tusk. Along the way, Nadine is shocked and enraged to find that Asav is working with Shoreline, the group she used to run and was hoping to take back after this job. They come across a deal between Asav and Orca, Nadine’s former lieutenant who now runs Shoreline, where Asav trades the tusk for something huge that he loads onto a train. After a fight with Orca riding in a helicopter, the three bring the helicopter down and make the dying mercenary reveal what Asav purchased: a massive bomb he plans to detonate in the capital city and kickstart the revolution. Tired of running when a situation gets too dangerous, Chloe convinces the others to help her stop the bomb. Commandeering a car, the three catch up to the train. Sam stays behind while the women hop on and fight through Asav’s men. Eventually seeing a switch that will turn the train towards a collapsed bridge, Chloe hops off the train while Nadine stays behind and, with Sam’s help, turns the switch before going back for Nadine. The two make it to the engine car, where the bomb is, and fight Asav. They eventually trap his leg under the bomb and jump to safety before the train falls off the bridge and explodes, killing Asav. Safe and with the tusk in hand, Chloe and Nadine decide to go into business together while Sam reacts with horror to their intentions to hand the tusk over to the Ministry of Culture, who won’t likely pay them a lot of money.